Obviously, there are more local law enforcement jurisdictions across the world other than just the NYPD or the LAPD. There are small-town cops, other city cops, and even officers from around the world. Again, there are so many rich stories that can be told from the point of view of those in law enforcement. Not all of the crimes, horrors, or hijinks take place on one of the US coasts. Here are the top 10 police officers across all other jurisdictions. Clint Eastwood portrayed San Francisco police officer, Inspector Harry Calahan in five films. 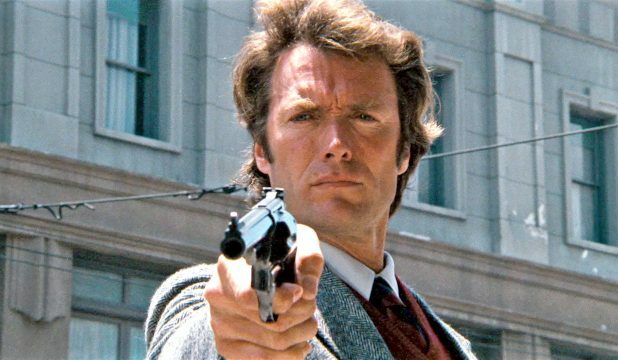 Dirty Harry (1971), Magnum Force (1973), The Enforcer (1976), Sudden Impact (1983), and The Dead Pool (1988). This is enough to prove how iconic Harry Calahan is. But you only need that uber-famous quote from the first movie to validate his inclusion on this list. I know what you’re thinking: ‘Did he fire six shots or only five?’ Well, to tell you the truth, in all this excitement, I’ve kinda lost track myself. But being this is a .44 Magnum, the most powerful handgun in the world, and would blow your head clean off, you’ve got to ask yourself one question: ‘Do I feel lucky?’ Well, do you, punk? 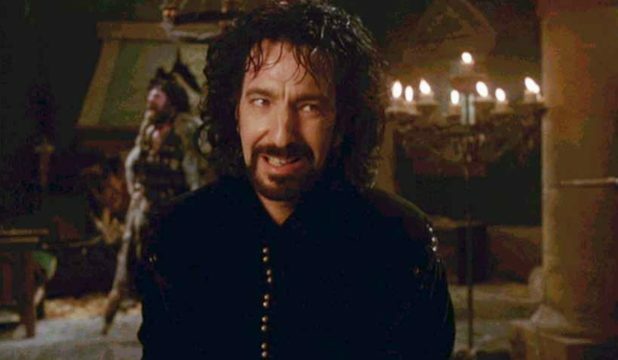 Alan Rickman had no interest in being in Kevin Costner’s Robin Hood: Prince of Thieves. In, fact, he turned the role down twice until he was effectively allowed to do whatever the hell he wanted with the role. What Alan Rickman winds up doing is so gloriously and purposefully over the top that he essentially steals the movie. So good is Alan Rickman in the role as the Sherriff of Nottingham that is is hard to say what is funnier. Is it Rickman’s performance here or Roger Rees’ spoof of the role in Robin Hood: Men in Tights? The role stole so much of the show, it was rumored that Kevin Costner cut out a lot of Alan Rickman’s scenes. Costner couldn’t have Hans Gruber upstaging him now, could he? 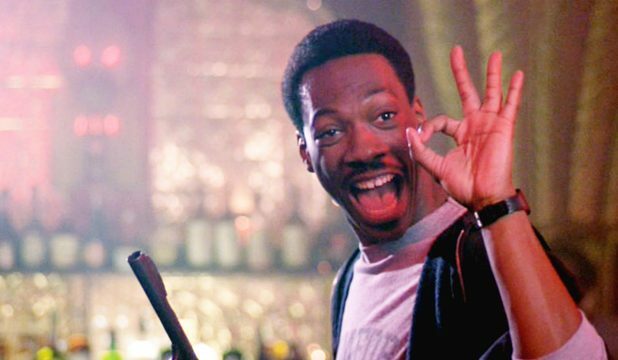 Police Officer Axel Foley effectively solidified Eddie Murphy’s comedy career. 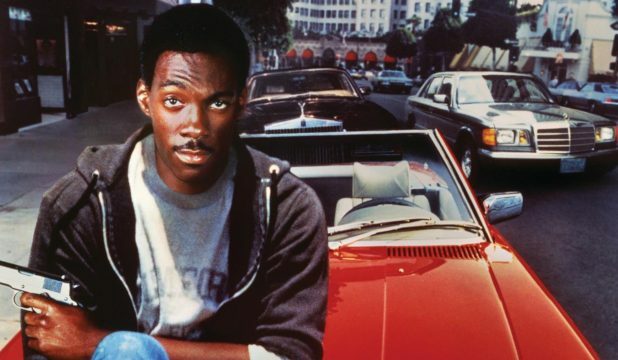 In Beverly Hills Cop, Axel Foley is a competent but reckless Detroit cop. One night, a childhood friend comes knocking, reveals he is into some heavy stuff, and winds up murdered. It is up to Foley to travel to Beverly Hills, where his friend worked, and try to solve the case. What follows is one of the greatest comedies of all time. Eddie Murphy was just so spot on funny back then. Foley cut his teeth in the Detroit Police Department, which is dangerous and rough. To see him operate in the ritzy, obnoxious world that is Beverly Hills is absolutely hilarious. His interactions with the upper crust of Beverly Hills and his mentoring of Detective Billy Rosewood (Judge Reinhold) is what the movie is all about. Gene Hackman made the NYPD police officer list with his portrayal of Popeye Doyle in The French Connection. 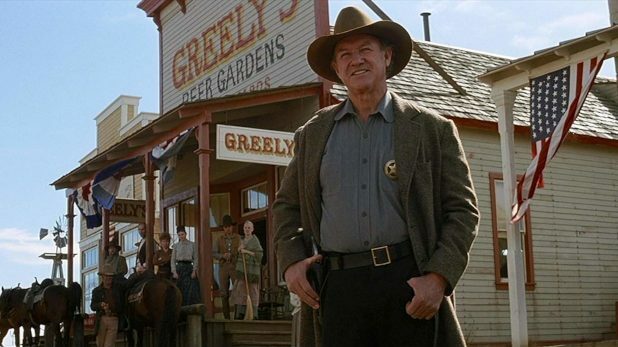 However, he makes this list with an equally intense role as Sherriff Little Bill Daggett in Clint Eastwood’s Unforgiven. The infamous Bill Munny and his partner Ned Logan are coming out of retirement to dish out some vengeance for a reward. Though, Little Bill does only two things in his jurisdiction of Big Whiskey: He builds his house and rules with an iron fist. His ruthlessness is exhibited when Richard Harris’s notorious English Bpb arrives to claim the same reward. Little Bill really is is a monstrous sheriff. He beats Bob within an inch of his life. Little Bill will NOT suffer vigilante justice in his town. He goes a bit too far when he displays a dead Logan in the center of town. It provides a wonderful setup between Little Bill and William Munny. So good in fact that it earned Gene Hackman more Oscar Gold. 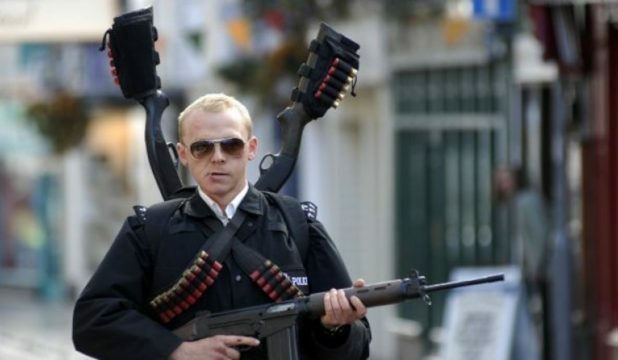 The entire premise of the superb Edgar Wright action comedy Hot Fuzz involves Nicholas Angel’s proficiency. In the early scenes of the film, we see whiz-bang editing displaying his abilities and achievements. Soon thereafter, we get one of the funniest scenes Wright has ever concocted as Sergeant Angel is getting his new assignment. First, Martin Freeman informs him he is being shipped out to Sandford. He knows he is the best police officer in the Metropolitan Police force. So he goes up the chain of command to protest. After Steve Coogan gives him the same song and dance, Bill Nighy finally shows as the Deputy Inspector. The fact of the matter is that Sergeant Angel has been making them all look bad, so they want to make him disappear. Well, good thing for the police officers in Sandford, they weren’t quite ready for what was going to happen once Nicholas Angel showed up. 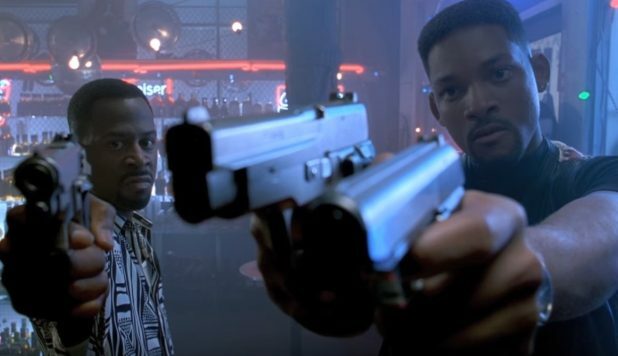 Bad Boys stars the wonderful comic pair of Will Smith and Martin Lawrence. They are Miami police officers and drugs have been stolen from the Miami police vault. Mike and Marcus are given five days to recover it or the unit will be shut down. What these two partners are able to accomplish in that amount of time, effectively destroying a Mafia drug ring in Miami, is pure Michael Bay ostentatious-ness. However, the real success of the film involves the chemistry and camaraderie between Smith’s Mike Lowery and Lawrence’s Marcus Burnett. We got a bit too much of a good thing with the overblown sequel (made fun of incessantly in Hot Fuzz), but the original is solid. Possibly, the greatest police procedural in decades has got to be David Fincher’s Seven. 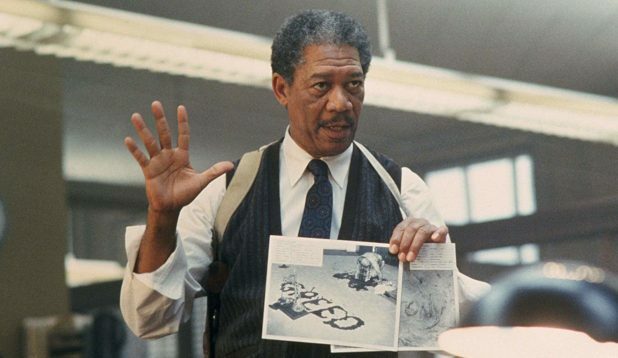 Morgan Freeman portrays the veteran homicide detective, William Somerset. He is a few days from retiring but a new partner and a series of grim, serial killer murders have been dumped into his lap. Being a police officer in the decaying, unnamed city, has really sucked the life out of Detective Somerset. He is amazingly knowledgeable and proficient at his job, but he certainly gets no joy through his investigatory success. Even Brad Pitt’s Detective Mills’s enthusiasm can’t light the passionate spark of police-work for Somerset. Not until that astonishing finale where John Doe completes his horrific opus does Detective Somerset consider sticking around. It takes a man as cynical and weathered as him to try and keep law and order in this violent world. Before graduating from the Massachusettes State Police academy, Leonardo DiCaprio’s Billy Costigan is told that he will never be a Statie by Captain Queenan and Staff Sergeant Dignam. What they suggest, because of his family background, that he go undercover in Frank Costello’s Irish Mafia operation. What they are doing to Costigan though is really feeding him to the lions. Costigan makes this list because of what he is able to do under the pressure of being made in his undercover assignment. 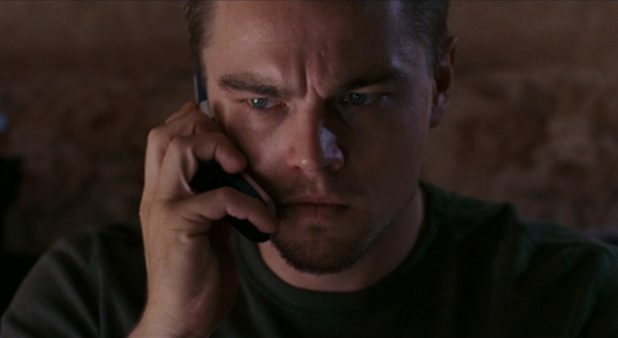 Martin Scorsese’s The Departed is incredibly tense, action-packed, and nerve-wracking. Matt Damon’s Colin Sullivan, playing the opposite of Costigan (Mafia infiltrator in the State Police) could have made the list as well. He is the thug playing cop and is equally efficient at the role as Costigan is at cop playing thug. Still, Costigan beats him out. Sullivan’s penalty for being unmasked is jail. Costigan’s is death. Paul Verhoeven really pulled out all the stops with his absurdly entertaining Robocop in 1987. The film tells the story of a Detroit police officer who is tortured and killed during a patrol. In this dystopian reality, there is the possibility that he can be saved and upgraded into what we refer to as Robocop. Played perfectly by Buckaroo Banzai himself, Peter Weller, lesser filmmakers would have made this premise PG-13 for the masses. Not Verhoeven. 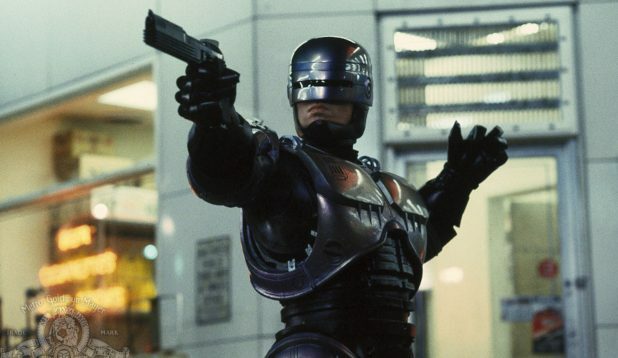 He made Robocop a hard R, and thus, provided us an iconic 1980s character and film. How great is that final scene involving the fourth directive? 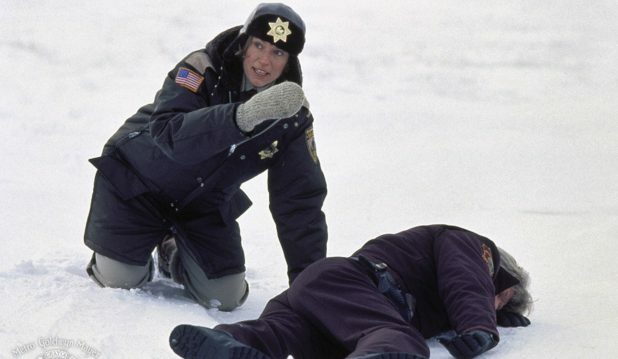 Police Chief Marge Gunderson earned Frances McDormand her first Best Actress Oscar, and for good reason. n Fargo, one of the Coen Brothers’ best films (that is saying a lot) the quaint little town of Brainerd has some serious crimes transpiring. Local doofus, Jerry Lundegaard (William H. Macy) needs to set up a kidnapping scheme involving his wife to rectify some fraudulent activities he has been involved in. This brings the criminal element from Fargo, North Dakota into the quiet little Minnesota town. With her big pregnant belly and odd Minnesotan accent, Marge Gunderson doesn’t seem like she is a police officer up to the task of dealing with such criminals. However, she quickly shows us how she is the smartest person in the room in nearly every scenario. When she confronts Lundegaard in his dealership, it is a masterclass of acting and screenwriting.